The Redmi Note 7 is one of Xiaomi’s most anticipated devices under its new Redmi branding, all because of its 48MP camera. Nearly one month after its launch, Xiaomi has already managed to sell 1 million units in China, and the smartphone is now set to take over India. 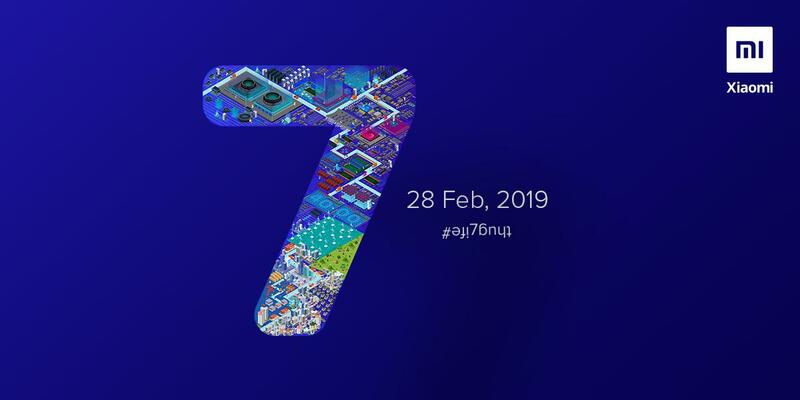 Xiaomi has now announced that the Redmi Note 7 will be launched in India on the last day of February. The company took to Twitter to share this news with the fan community. The news comes less than three months after the Redmi Note 6 Pro was launched in India. The device, however, failed to make its mark because of minimal cosmetic changes and the same hardware as the Redmi Note 5 Pro. The Chinese variant of Redmi Note 7 comes with an upgraded Snapdragon 660 SoC, a more attractive 6.3-inch Full HD+ display with a waterdrop-shaped notch, and the 48MP Samsung GM1 sensor on the back. It also carries over some of the great features from the older Redmi Note series phones, including the large 4,000mAh battery. The Redmi Note 7 comes in blue and black colors with a reflective finish, as well as a Twilight gold back with a gradient between orange and purple. It is unclear whether Xiaomi will be using the exact same 48MP sensor for the Indian model, although the company has been teasing an upcoming 48MP smartphone camera for Indian fans. The Redmi Note 7 comes in options between 32GB storage with 3GB RAM and 64GB storage paired with either 4GB or 6GB of RAM. Apart from the 48MP primary sensor on the back, the Redmi Note 7 uses a 5MP secondary sensor for depth-sensing. In low light, the 48MP sensor uses 4-in-1 pixel binning technology which converts 48MP shots into 12MP ones for sharper night photography. As for the pricing of the Redmi Note 7 in India, we won’t know until its launch on February 28. But in China, the smartphone is priced at 999 yuan (₹10,500) for the 3GB+32GB model, 1,199 yuan (₹12,600) for the 4GB+64GB unit, and 1,399 yuan (₹14,700) for the 6GB+64GB variant. We expect at least the first two variants to be priced under the ₹15,000 mark. Additionally, while Xiaomi has not specifically talked about the real successor to the Redmi Note 6 Pro, the Redmi Note 7 Pro, the device is expected to come with a Qualcomm Snapdragon 675 mobile platform and a 48MP Sony IMX586 sensor inside the rear camera. It is expected to be priced around 1,499 yuan (₹15,700). It is yet to be seen if Xiaomi will launch both the smartphones in India or just the Redmi Note 7, and we’ll update you as we garner more information.